Here are some comments about us from just a few of our satisfied customers from all over the world. We quote all customer testimonials exactly as they were sent to us, and seek permission before we make any change. "I just wanted to thank you for the help that you have provided me with the generation of my CSR and the installation process. Your customer service is number one!" "Trustico®, I would like to thank your Premium Installation team, they had my Certificate installed within 24 hours. The Certificate was urgent and installed very fast - thank you." "I have dealt with Trustico® twice now, and both times I had no problems. Their ordering system was straight forward and when I required help I received all the help and information that I required." "I purchased a QuickSSL Premium through Trustico®. I am a novice and did not know how to install the Certificate. Even though Trustico® went out of their way to make sure that I had may Certificate installed and working." "I am currently a Reseller of Trustico® and have to say they have been helpful and understanding as I didn't know anything about SSL Certificates before I signed up." "Trustico®, I would like to thank you for the professionalism you have shown me while I was placing my order. You provided me with the help that I needed to generate my CSR and install my Certificate. I couldn't have asked for a better team to work with." "I just wanted to thank everyone at Trustico® for helping me order my SSL Certificate." "I would like to sincerely thank you for the help you provide me while ordering my SSL Certificate. I know that I was very new to this all, but your customer service team took the time to explain everything to me and walk me through the whole process." "I was referred to Trustico® by my hosting company, they stated that Trustico® had excellent customer service. Trustico® have proven to me that they do have first class customer service. Congratulations to the Trustico® team!" "I would like to thank Trustico® for helping me with my Certificate. Your team did everything that they could to get the Certificate to me within a couple of hours. Great work!" "I would like to let you know that your ordering system is very easy to follow and straight forward, I will be using your service again and again, thank you." 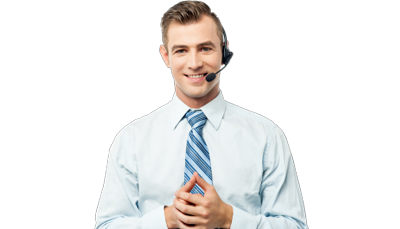 "Trustico®, I would like to inform you that your web site has provided me with all the information that I need to place my order. For someone that is very new to SSL, it was a nice change to find a web site that answered all the questions that I had." "I don't know how to thank you enough for the help that you provide me when I was ordering my certificate. I was so confused about how to generate my CSR, but one of your friendly customer service staff walked me through the whole process. She stayed with me until I had completed the process. It was rewarding to know that I was being looked after." "Our list of requirements was extensive. After intense searching and many evaluations, I determined Trustico® to be the best solution. We have never looked back!" "Trustico® is an awesome tool. The ordering process was fast and we were impressed with the service we received. In the past we have struggled to obtain our SSL Certificates from other vendors, Trustico® made this the easiest process yet." "We received our order in only 10 minutes - the result was clean and professional. Trustico® will revolutionize our work flow and save us tremendous amounts of time." "Wow! Trustico® was able to meet our requirements professionally and quickly. We appreciate the dedication that the support team gave us during the installation process." "My daughter and I operate an online florist business and Trustico® was very efficient to allow us to accept orders securely. Thank you!" "Getting through to the Trustico® technical support team to solve a technical problem was fast and easy. Next time one of my clients need an SSL Certificate I will not hesitate to use Trustico® again." "We are very happy with the service and product that was received from Trustico® and would recommend the service to all."